Facebook, yet again, posted arguably its best quarter ever, reaping $3.2 billion in revenue in Q3, with 66 percent of their ad revenue coming from mobile. Facebook now has 1.35 billion users (1.12 billion on mobile). But is the best for Facebook still to come? 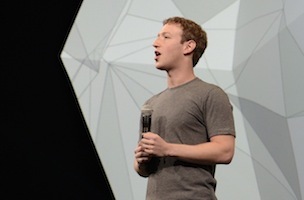 Here’s what we learned from Facebook’s quarterly earnings call on Tuesday. Chief Operating Officer Sheryl Sandberg knows that there’s still a gap between how people interact with advertising (on mobile) and how advertisers still prefer to deliver messages (display and desktop). Similarly marketers are not confident that they can measure mobile ad performance. Many of the most commonly used measurement systems over emphasize the value of the last click. This does not make sense, given that studies of Facebook campaigns show that over 90 percent of ad driven in-store sales come from people who saw an ad but didn’t click on it. It’s clear that marketers and publishers need better tools for the mobile world. This is an industry problem that we believe we are well placed to solve. Our re-launch of Atlas last month during Adweek was an important early step that builds on the advancements and measurements we have made over the past two years. The new Atlas is an ad serving and measurement platform, we completely rebuilt. By using Facebook data, Atlas can deliver highly relevant ads, regardless of device. Sandberg also cited a Nielsen study which found that the digital advertising industry is less than 60 percent accurate in demographic targeting — something in which Facebook specializes. Through Atlas (currently available to select launch partners and agencies) and the Audience Network, today’s advertisers can work with Facebook to target the right customers. After Facebook disclosed the true cost of the WhatsApp acquisition ($21.8 billion for a company that had a net loss last year of $138 million), the stock price of Facebook plummeted in after-hours trading — from $80.76 to $75.04. Earlier in the day on Tuesday, FB reached its all-time intra-day high of $81.16 after more than a week of consistent gains. Prior to this bullish run, shares had dipped to a low of 70.32 in mid-October before rebounding sharply to its current highs. Overall, the long-term trend for Facebook continues to be bullish, and its prospects for further potential gains have been reinforced by yet another quarterly earnings beat. Near-term, op-ex is expected to increase more than anticipated as management is more aggressively investing in people, product, recent acquisitions (Oculus, WhatsApp) and building infrastructure for video, as well as internet.org. This will result in slightly lower margin than the “Street” expected. However, we believe these investments will be helpful in driving stronger growth over the long-term. Two other issues are likely to affect the stock in the near-term. First, management guided 4Q’14 revenue growth of 40% to 47%, which is in line with the Street but still implies a deceleration in top line growth. We note that this is the first time ever management has provided revenue guidance. We think the goal is help investors appreciate the tough comparison to the full rollout of News Feed ads in 4Q last year, as well as the negative FX impact due to the Euro’s recent rise. Second, about 178M shares issued in conjunction with the WhatsApp acquisition will become freely tradable in the next few days. Facebook’s revenue charts have looked more like cell phone reception bars: consistently on the rise.